After a few hours of exploring Arkham City, its safe to say that RockSteady has outdone themselves. The freedom to glide and tackle missions at your leisure really allows you to play the game how you want too. 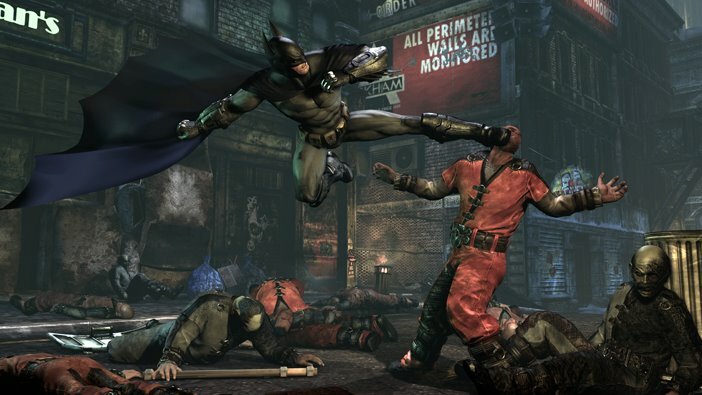 As of right now, Batman Arkham City is fantastic! As of right now, I've only done 9% of the story missions, and have tackled a few side-missions with about 70 and below percent done with each. They really mesh together so far, and are just as great as the main missions. Prior to starting the game, I downloaded the Catwoman pack as Kotaku recommended, and have played as her for a short bit. Compared to Batman, she is much faster and agile, so when switching between the two you can feel a change that's not just cosmetic. So far, combat is just as good, if not better than Arkham Asylum, and the fantasic voice-acting still immerses you.